Fixed price service offer! $199 inc. Book now and save*. Did you know that your evaporative cooling system is a lot like your car? Through constant use, it requires regular maintenance to ensure optiumum performance, and to minimise the chance and severity of break-downs. Fixed price service offer! $185 inc. Book now and save*. Lennox TSA-048-1 (12kw) add on. Full cost subject to site inspection. Price is for five (5) outlets, single storey home. Includes refrigerated lines up to 6 metres, 15 metres of electrical cable, 2 metres of pipe cover. Excludes safety switches and board upgrades if required. Offer available in metro Melbourne area only. * Conditions: Full cost subject to site inspection, single storey home, back to back installation with external unit on ground, includes refrigeration lines up to 4 metres, 15 metres of electrical cable, 1.8 metres of pipe cover. Excludes safety switches and board upgrades if required. Melbourne Metro only. *conditions: Full cost subject to site inspection, single storey home, back to back installation with external unit on ground, includes refrigerated lines up to 4 metres, 15 metres of electrical cable, 1.8 metres of pipe cover. Excludes safety switches and board upgrades if required. Melbourne Metro only. *Conditions: Price is for Lennox Model LED/LCD (16.8KW) fully installed to eight (8) outlets with 2 zones, full cost subject to site inspection, single storey home, includes refrigerated lines up to 6 metres, 15 metres of electrical cable, and 2 metres of pipe cover. Excludes safety switches and board upgrades if required. Offer available in metro Melbourne area only. 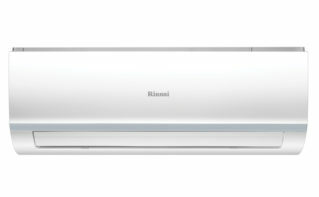 *Conditions: Price is for Daikin FDYQN125 (12.5 KW) standard inverter, fully installed to five (5) outlets, full cost subject to site inspection, single storey home, includes refrigerated lines up to 6 metres, 15 metres of electrical cable, and 2 metres of pipe cover. Excludes safety switches and board upgrades if required. Offer available in metro Melbourne area only.